Glossier recently revealed the next product it's preparing to launch: a fragrance called Glossier You. This was met with enthusiasm from its loyal fan base, who likes the brand's emphasis on anything modern and inclusive (just like us). This announcement came on the heels of Glossier's shower gel and moisturizer launch, the Body Hero Duo ($35), proving that there are a lot of things in the works over at Glossier HQ. Even though the product hasn't officially launched yet, you can still stock up now, since the company is sending out a free sample with every single order that's placed through its website. So get to your computer and purchase that new bottle of Milky Jelly Cleanser ($18) you've been meaning to get, because why not? A free sneak peek of a highly anticipated fragrance will be included. Glossier posted this image on Instagram, captioning it, "we're proud to announce that our debut fragrance, Glossier You, launches soon. Every order through Glossier.com will receive a sample beginning TODAY." 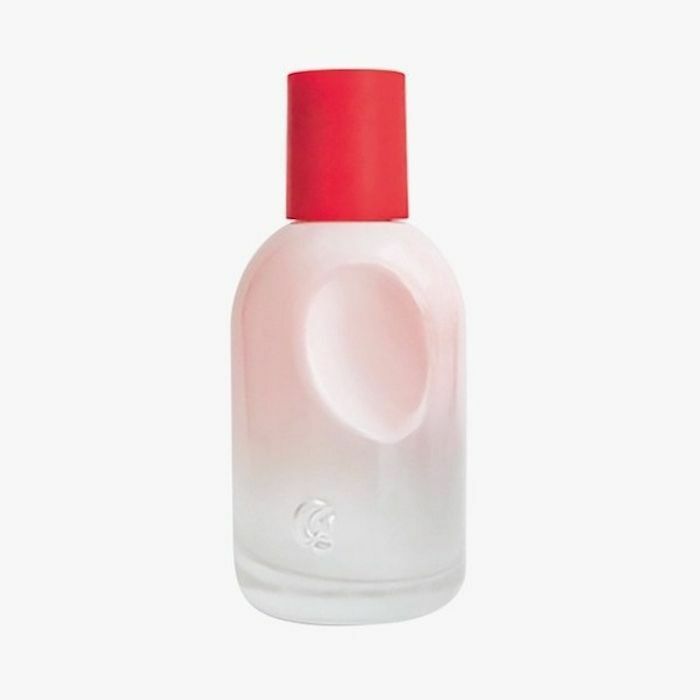 The photo shows a small Glossier eau de parfum spritzer housed in the brand's namesake plastic bag packaging. In conversation with Vogue, the brand's CEO Emily Weiss described the fragrance as equal parts fresh, floral, and musky. "I want it to smell like your boyfriend's neck after he has been wearing cologne for eight hours," she said. In other words, we expect it will be a subtle and androgynous scent that both you and your significant other can wear. We're still not sure when the official launch date is since the brand has been vague about when we can expect to see it IRL. However, it did say "soon" on Instagram, so hopefully that means within the month. Either way, we have to go. We're putting together a new Glossier order ASAP. Next, see a sneak peek of the new palette that Gigi Hadid has created in partnership with Maybelline.